It’s hard to believe that Whitney is really gone. Her funeral today will be closure for her family and close friends but it will take far longer for her legions of fans to fully comprehend the woman with an angel’s voice has really ascended. That’s because Whitney was as beautiful as she was talented. This was never more apparent than in the film The Bodyguard, in which she starred opposite Kevin Costner. The role wasn’t a stretch. Whitney is a diva/movie star who is being stalked by a killer on the eve of her appearance at the Oscars for a breakout movie performance. The movie was good, but the soundtrack was amazing! 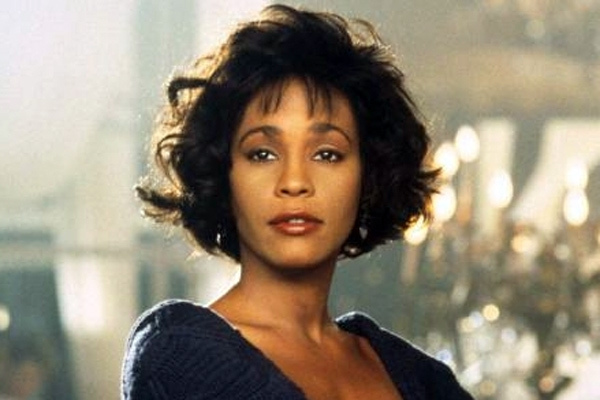 Whitney’s voice was as much a star of the movie as was her luminescent beauty. She was captured at the (in my opinion) height of her physical beauty in this film. Whitney had a wholesome, accessible beauty. Those huge, soulful eyes and that incredible smile that made your heart melt. Then when she sang, she blew our collective minds. That’s how I’ll always remember Whitney and how I believe everyone who ever heard her sing will as well. Whitney Houston was a wonderful, prideful and completely vulnerable woman. She brought these traits to her character in The Bodyguard. She wasn’t acting so much as projecting her own persona onscreen. Now, watching in the knowledge she is gone is a bittersweet experience for this cinephile. Sad that her life and talent was painfully cut short, but grateful that we have her movies and music to remember her by. I think as time goes by we’ll all begin to appreciate how special she was and forget her very public meltdowns. It’s the least we can do for such a beautiful woman with the voice of an angel.